Dallas-based insurance agency launches new comprehensive insurance solutions for residents and businesses throughout Texas. Eagle Independent Insurance Agency is excited to announce the official launch of their new comprehensive insurance solution for Texas-area residents. This new personal insurance solution includes the launch of a new website and interactive digital marketing campaign that will improve customer engagement by delivering multiple quotes directly from national carriers, or by utilizing Eagle Independent agents that will provide multiple quote options directly to customers for purchase. Eagle Independent Insurance Agency specializes in providing the most comprehensive personal lines insurance coverage including Home, Auto, Renters, Personal Umbrella, Boat, and Motorcycle at the most competitive price available in the insurance marketplace today. They will also assist clients with any service items, including claims and billing assistance. About Eagle Independent Insurance Agency: Eagle is a full-service Texas independent insurance agency founded in 2013 that aims to get customers the most effective coverage in the market by directly linking the customer to the nation’s largest insurance carriers, and by providing insurance policies directly to customers through Eagle Independent Insurance agents. Eagle not only delivers multiple quote options directly to clients, they also are able to secure coverage for their clients as well. 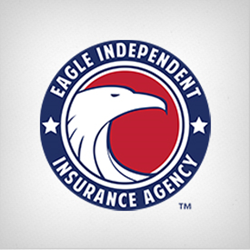 For more information on the Eagle Independent Insurance Agency, visit http://www.eagleinsured.com or contact Dan Llana of The McCarthy Companies at 214-361-7767.